4 Steps To Create A Savings Account On Paytm Payments Bank? 10 Why Open an Account in the Payments Bank? Hi Guys, Welcome back to avjtrickz. Are you wondering about Paytm payments bank? Not getting right guide for open an account on that? . Then you are in the right place. In this post we include A-Z Guide for opening an account on paytm payments bank. Also includes the features of Payments bank. Now a question arrives why should open a payments bank account? Read the full post carefully, you will get the answer! We all know that Paytm recently launched Payments bank. Also announced that all wallet services will be transfer to payments bank services. That doesn’t means you have automatically getting a payments bank savings account. Banking service is includes more features and also different from wallet service. Only the service will be upgraded also it provides quick banking services as normal banks by opening a savings bank account as like other Payments bank of other companies. 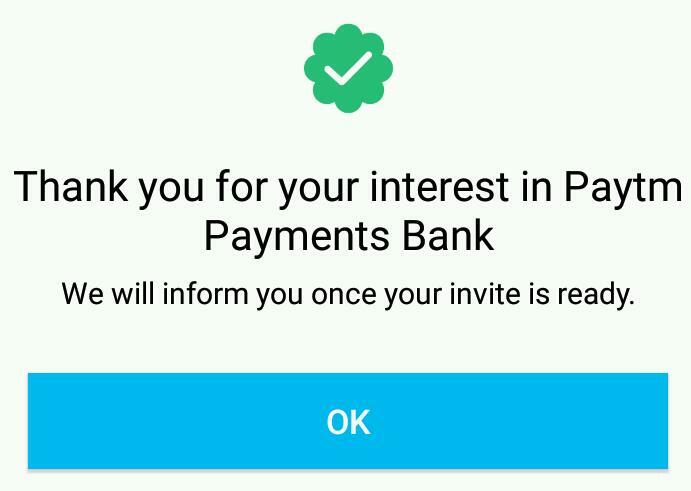 As of now you can open Payments bank savings account by requesting an invite. Continue reading I will explain it how to do that! What is payments bank? A payments bank cannot lend or give advance to customers. It can issue cheque books and debit cards but not credit cards. There is a limit on the money you can keep in your account. You cannot keep more than Rs 1 lakh in the Paytm payments bank. The purpose behind these banks is to provide quick and basic banking services to the people at the bottom. 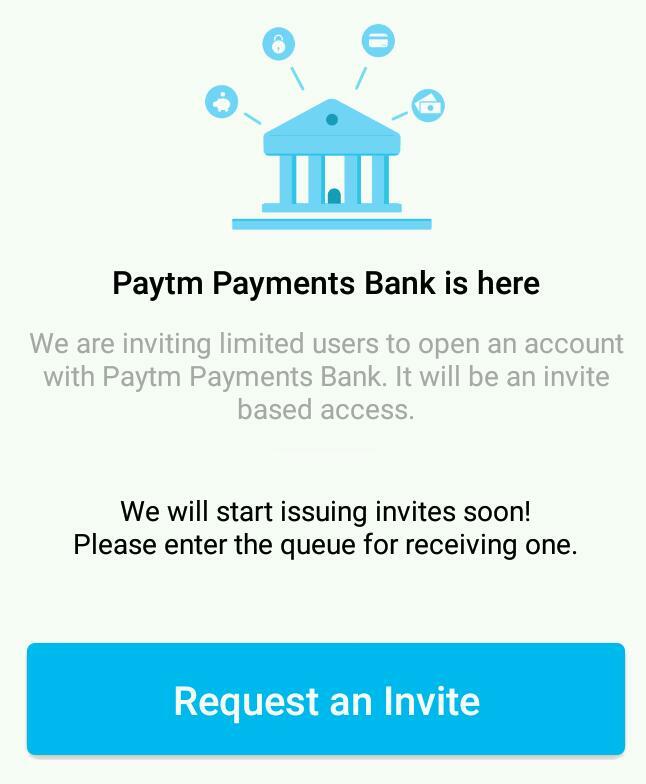 Also Read our previous article regarding on Paytm Payments bank FAQs. So, Paytm wallet service will close, but it will run as a part of the banking service as like other payments banks. Also you can make transactions on different merchants as usual using the same Paytm Application as banking service. Paytm already mention to contact for people who don’t want transfer to payments bank account. This means that the person want to close his Paytm wallet account . So don’t misunderstand this case and no need to do anything if you want your Paytm account to be active. ◾ India’s first bank with zero fee on online transactions, no minimum balance and free virtual debit card. ◾ The account will have zero balance requirement and every online transaction (such as IMPS, NEFT, UPI) will be free of charge. ◾ Physical services like chequebook, demand draft and debit card will be available at a nominal fee, benchmarked to the industry. So as per the above information’s you can continue to pay your bills and make other expense as you have been doing till now. However, for all the banking solutions such as transferring, receiving funds you have to Register for the Paytm Payments Bank account which also requires you to verify your KYC details or you can say as Upgrade Paytm wallet or become a Paytm VIP customer. Steps To Create A Savings Account On Paytm Payments Bank? Making a savings bank account on Paytm Payments bank is easy. Just keep your KYC documents ready, to begin with, Paytm Payments bank. Follow the 5 steps given below to make savings account on Paytm Payments bank easily in no time. Paytm VIP customers or KYC verified customers can directly go to step 4. 1- At first, go to Paytm Website . 2- You can also register yourself on Paytm using their mobile app. Download Now from Google Play Store. 3- Click on “Sign Up”. 4- Enter your valid mobile phone number, valid email address and a secure password. 6- Now they will send a one-time password to your given mobile phone number. 7- Verify your number by entering the one-time password. 8- That is it. You have successfully created your Paytm account. Now go to the next step to create a savings bank account on Paytm Payments bank. 1- Firstly, login to your Paytm account. 2- Then click on “Add Money” button and enter your desired loading amount (minimum Rs.10) . 4- Enter card details and check on Save for future transactions and verify via one-time password. 5- That is it. The amount will be deducted from your bank account and will be added to your Paytm wallet. You have to upgrade your paytm wallet by filling up the KYC form. For that, you will require some of your documents which are listed on Paytm KYC verification page. On Paytm app you see an option on opening/Profile section for KYC verification. Just download the form and attach all the required documents like address proof, identity card & a passport size photograph of yours. As evidence, take a xerox copy of your Aadhar card and put your signature (self attest) on that copy. 1- visit your nearest Paytm office/KYC verification office with all original documents with self-attested copies. Nearest office will be show on paytm app on the KYC verification page. Take a copy and original of your PAN card if you want to transfer more than Rs 50,000 in one transaction. After submitting your KYC documents, upgrade process can take up to 72 hours to be completed. 2- Request a Paytm agent to Visit your Home to Verify. You Will see an option for that request on KYC verification section. Keep all the above mentioned details and xerox. Remember one thing; you cannot migrate your paytm wallet to paytm payments bank until you complete your KYC verification and upgrade your wallet. After completing the previous steps, it shall automatically migrate your standard paytm wallet to paytm payments bank. However, if you do not want to migrate your paytm wallet, you need to send a request to them. However, if you do so, your Paytm wallet will be closed permanently. Because from 23rd May 2017, Paytm started migrating all the paytm wallets to paytm payments bank automatically. 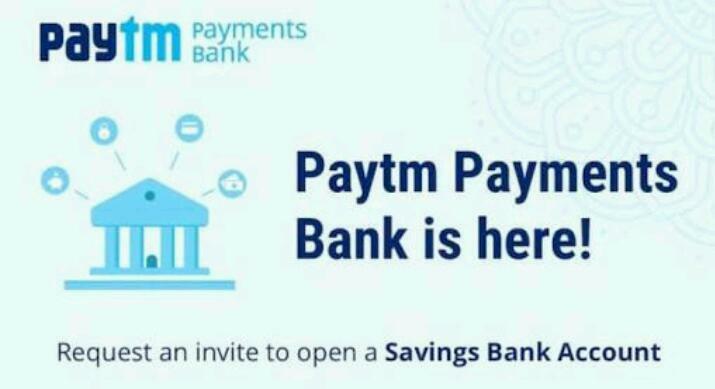 Now you need to request an invite to open your savings account on paytm payments bank. Because Paytm now opening account by request only. For that you will see an option on your Paytm app as well as Web. Just follow it and Register to get an invite. That’s it! After completing the above processes, a banking kit will be shipped to your address. This kit will contain your passbook, chequebook, your paytm debit card, internet banking user manual and a welcome kit. It can take up to 14 days to be shipped to your address. Why Open an Account in the Payments Bank? The major difference over the existing wallet service will be the addition of new financial features that come with the accounts under the payments bank. For example, Paytm will offer interest on the money in its payments bank accounts, a feature not available under its wallet service. Other services like debit cards and money transfers found with permanent bank accounts will also be possible with the new service. So Finally we recommend to create Paytm Payments bank account to enjoy the Awesome Features and cash back offers! We value our visitors doubts and questions. So we already created a post for clearing your doubts before launching date. Read Paytm Payments bank Frequent Questions and answers. Feel free to comment below if any other questions regarding Paytm payments bank. We will try to Answer as soon as possible! Thanks for reading this post. See you on next awesome article!